Ventura County burn injury attorney Jeffrey Herman at the Law Offices of J. Jeffrey Herman, understands the dangers posed by lithium-ion batteries and he wants to see that burn victims are compensated by responsible parties. Call the Law Offices of J. Jeffrey Herman at 805-983-2344 for a free consultation. Posted in Burn injury attorney on Friday, Nov 16, 2018. We see a lot of burn injury cases in our Ventura County practice caused by things such as car accident fires, work related burns, and out of control flames from backyard fire pits and bonfires, but lately we have been seeing more and more burns caused by lithium-ion battery explosions. Every time we turn around it seems like there is another exploding battery story. From electric cars, to e-cigarettes, to Hoverboards, we cannot get away from exploding batteries that are causing serious burn injuries. Our Ventura County burn injury attorney at the Law Offices of J. Jeffrey Herman, understands the dangers posed by lithium-ion batteries and he wants to see that burn victims are compensated by responsible parties. Most of us have sustained an accidental burn or two in the kitchen and for the luckiest of us, that is the extent of our experience with burns. For others, including those who have sustained burns caused by lithium-ion batteries, burns can be much more severe. 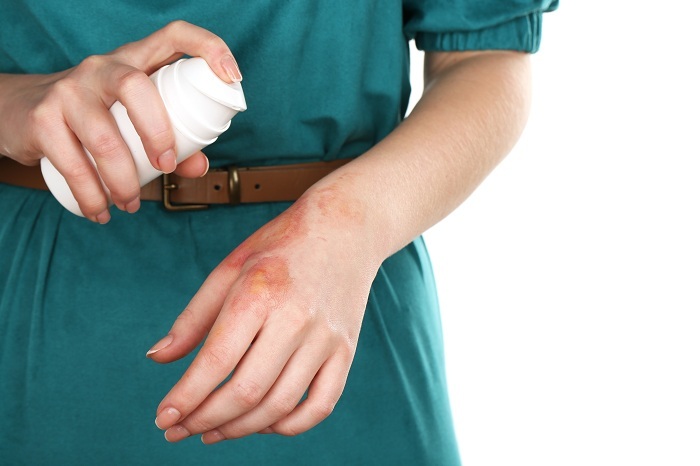 Serious burns can be incredibly painful and can cause permanent nerve damage and scaring that requires extensive medical care and sometimes multiple surgeries that may continue for many years. Burns are categorized according to their severity from first degree to fourth degree burns. Below is a description of the different burn categories. First degree burns are the most minor burns, which produce redness and pain, but they do not usually require medical care and they generally go away on their own. Second degree burns go a little deeper into the skin than first degree burns and there is usually blistering and thickening of the skin that occurs. Third degree burns go deeper into the tissue and cause whitened or blackened skin at the burn site and considerable pain. Fourth degree burns are the most damaging burns that go as deep as the tendons and muscles. Burn victims who survived these burns sustain permanent scaring and years of medical treatments and surgeries. Reports of cell phones, electric cars, e-cigarettes, laptops, and Hoverboards with exploding lithium-ion batteries seem to be more and more commonplace lately. These explosions have caused severe burns due to fires and leaking battery chemicals. These batteries can catch fire when they are overheated, overcharged, or because they contain design or manufacturing defects. We want to see that you are fully compensated for your injuries and damages including lost wages, medical bills, disability and disfigurement, pain and suffering, and property damage.